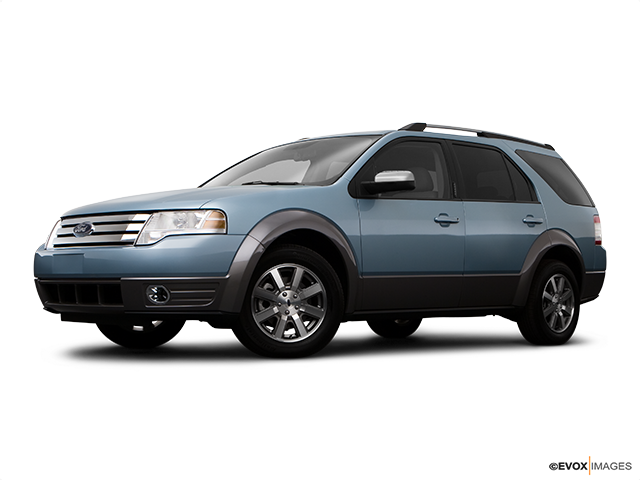 Ford Taurus X: Exceptional safety score, great styling, and practical interior. Available in 3.5L V6 engine. 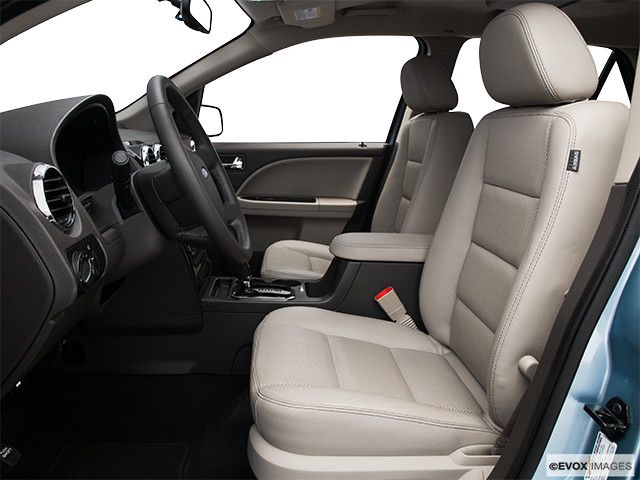 Drive in style with the Ford Taurus X, the SUV that offers plenty of space and flexible seating arrangements too. With room for up to 7 passengers and a big trunk, it's the perfect mid sized vehicle. 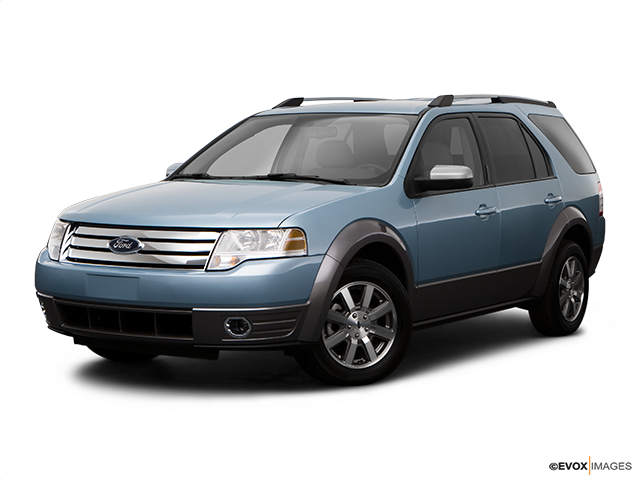 The Ford Taurus X is a spacious crossover but eagled eyed car enthusiasts might notice that the design looks a little similar. 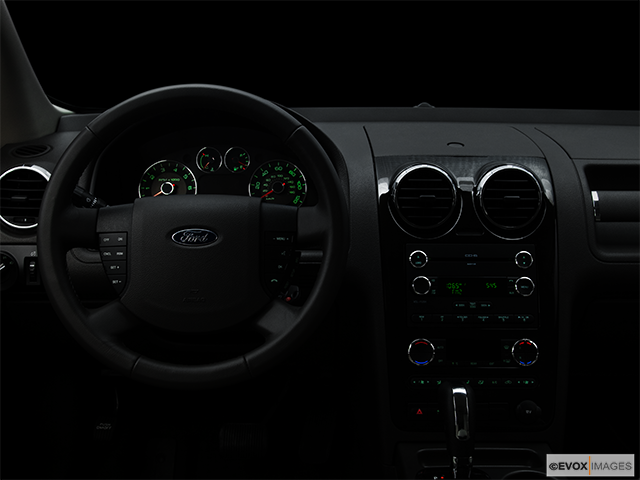 This is because it's based on the Ford Freestyle, and just given a few design tweaks to create a whole new vehicle. The Taurus X, not to be confused with the smaller Taurus sedan, is a three-row, seven-passenger SUV that offers an impressive amount of space for cargo too. The CVT found in the Freestyle has gone and been replaced with a smooth six-speed automatic transmission powered by a larger 3.5-litre V6 engine. This produces 263 horsepower and speedy acceleration, particularly in the front-wheel drive model. It's possible to opt for a four-wheel drive too, this is the heavier of the two options and generally not quite as quick although the performance is still perfectly adequate. You can choose the configuration to accommodate 6 or 7 passengers with the seating spread over three rows. The height of the Taurus X makes entry and exiting the car easy, and with a tilting steering wheel, it's easy to find the right position. Further back in the car the seats fold easily if you want to expand the cargo area, and the captain's chairs in row 2 can be switched for a split bench to increase the passenger capacity to 7. 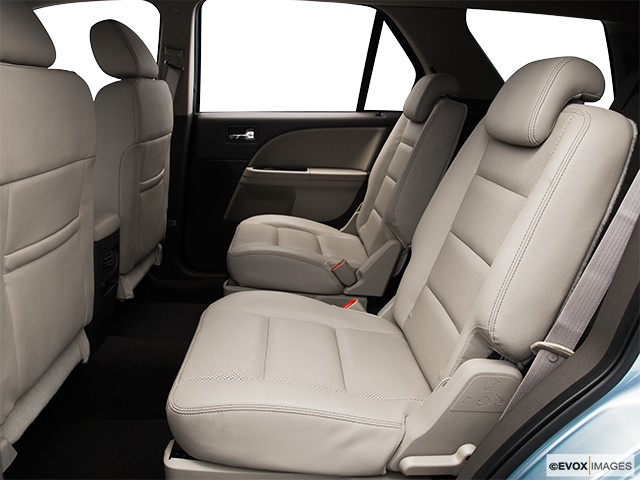 Legroom and headspace in the third row are impressive, making this one of the most comfortable SUVs for taller passengers. The trunk has plenty of space for cargo and with the optional power lift tailgate, loading and unloading are extremely convenient. Even the base model has a generous amount of features with cruise control, a trip computer, and in-dash CD player. Opt for a higher trim and you'll find it loaded with even more accessories including the SYNC communication and entertainment system, dual zone climate control, leather upholstery, a moonroof and navigation. Ford is excellent at equipping their vehicles with a number of different safety features, one of the reasons why their cars, SUVs, and trucks score so well in crash testing. The Taurus X has ABS fitted as standard together with an electronic stability system. Airbags are fitted in the front and to the sides, along with curtain airbags along the length of the vehicle protecting the rear passengers. 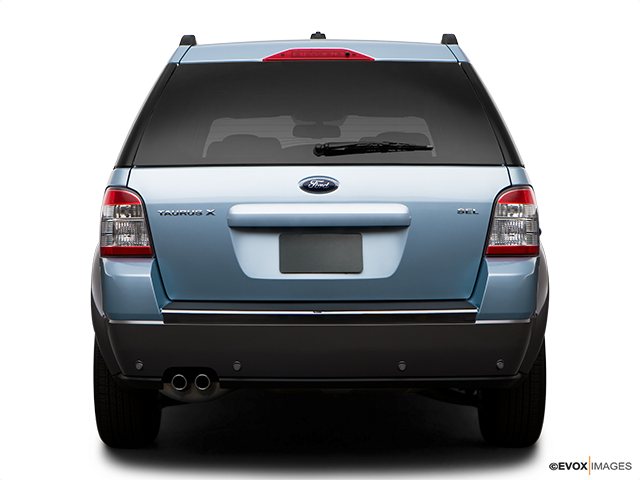 If you don't need an SUV or truck with huge pulling power, but still want lots of cargo room and space for passengers too, check out the Ford Taurus X.